A Close Look at Joomla: How Does it Compare to WordPress and Drupal? WordPress gets a fair bit of publicity as the most widely installed content management system (CMS). Drupal, another popular CMS, is widely known but technically thought of more as a “content management framework” because it is a little heavier on the technical side and taking advantage of it requires a bit of a learning curve. Where does this put Joomla, the other major player in open source CMS? Joomla is installed on 8.5% of websites in which the CMS can be identified, which is 2.7% of websites overall. With its significant presence in the field of site management, let’s take a look at Joomla in reference to the alternatives. Installation of Joomla is much like installation of WordPress or Drupal. Hosting providers typically present one-click install options that give a webmaster the ability to quickly deploy the CMS to a ny domain. Joomla is very flexible but also takes a very friendly and guided approach to getting a website up and running. The default page under the administrator login provides a helpful, streamlined guide to getting started and puts heavy emphasis on providing sample sites in order for the webmaster to get a sense of what is possible. The administrator is pointed to helpful links on both using extensions and modifying templates. Joomla’s main strength is that it provides much of the flexibility of Drupal but with a design rather than tech-oriented focus. WordPress is a blogging platform foremost, and extending it to function as a general enterprise website – as for e-commerce – takes about the same level of expertise as managing Drupal. Joomla allows the designer a great deal of plug and play flexibility to move away from the blog paradigm but without having to grind as much with configuration files, CSS, PHP concepts, and hunti ng down correct the right versions of modules as you would with the Drupal. Unlike WordPress and Drupal, one drawback to Joomla (at least version 2.5) is that the admin interface is not as cleanly integrated into web browsing. WordPress uses a convenient top menu bar and side navigation pane. Drupal 7 uses an extremely intuitive top menu interface that calls up dropdowns and hovering dialogue panes. Joomla 3.0, however, has an interface that is similar to that of Drupal 7. Sometimes the choice of CMS is a matter of website needs, and other times it is a matter of preference, but as Joomla combines the best of all worlds in CMS it is an extremely safe bet for any website. Posted on April 26, 2013 Categories Reviews, Web CMSLeave a comment on A Close Look at Joomla: How Does it Compare to WordPress and Drupal? Back in the early days of the Internet, the only way to build a website was by learning HTML code and coding the website by hand. The website built is static. If content needs to be changed, only the coder or someone knowing some HTML code can change it. Nowadays, there is a newer, more efficient way to build a website. This is by using a content management system, or CMS. This has made website updating very easy and convenient to do. 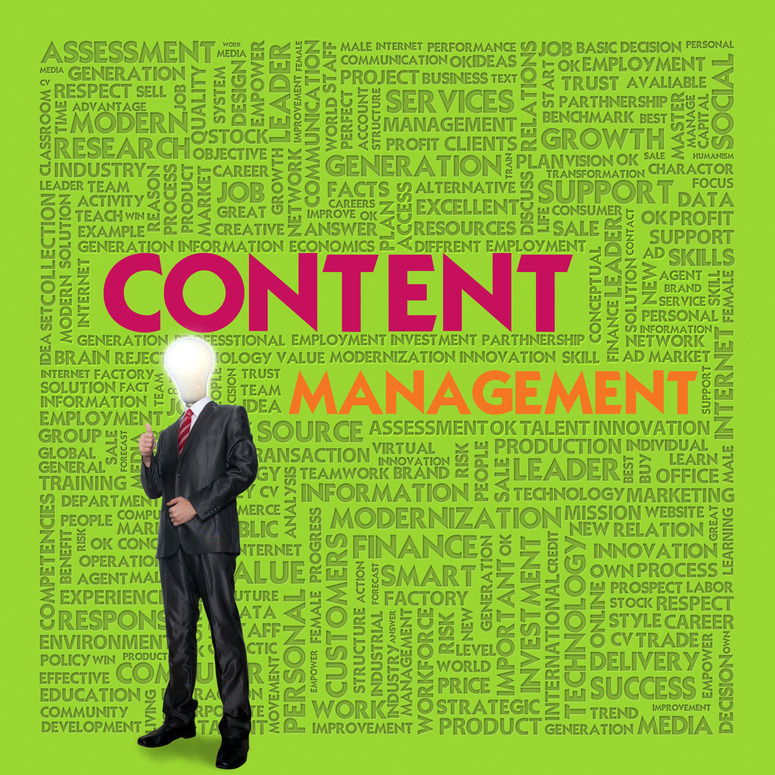 This article will discuss some of the benefits of using a content management system. A lot of popular website are build on CMS. Take WordPress, for instance. You have the ability to update your WordPress site without knowing much about HTML. If you are the administrator, you can assign edit rights to certain individuals to give them the right the right to edit certain pages. No coding knowledge is requires. All you have to do is to open up a template or a page, and fill in the boxes. CMS allows multiple people to work on the website at the same time. The main data is stored in a database on the server. Anyone with the proper login credentials can get to the back office to manage content. There is not need to to use file transfer protocol, or FTP, to upload changes to your server, as in the old days. Everything can be updated as long as you have access to the Internet. The beauty of using a content management system is that you no longer need to rely on a single web developer to update your content and to make minor changes. In the past, if the web developer is not available, that means the website does not get updated until he got back. With CMS, different people can have edit rights to edit content, so updates are done more in a timely manner. With CMS, it is easy to use plug-ins to add functionality to your website. Plug-ins are pre-made modules that you can just install with a click of a button. In the old days, you would need to hire a special programmer to program a script for you for the same functionalities. CMS gives ordinary people the ability to manage and control their website better. CMS also has the advantage of tracking multiple versions of changes in the content. This is helpful because because there may be a time when you want to revert back to a previous version of your website. With a static HTML website, you would not be able to do that in a clean, uncumbersome way. Content management systems are the way of the future in website design. No longer is website design only reserved for the programmers and professional web developer. Although they are still required to make major changes to the structure of the website, CMS allows the ordinary user to update and manage content easily and efficiently with very little effort.